Coach Wayne Riley, 76, of Silsbee, died Friday, March 22, 2019. He was born on April 13, 1942, in Kountze, to Nellie Creel Riley and Minyard Daniel Riley. Wayne coached at Silsbee High School for many years before retiring. Survivors include his wife of fifty years, Frankye Riley; daughter, Leisa Stokes and her husband, Jason, of Beaumont; granddaughters, Jill and Anna-Grace Stokes of Beaumont; sisters, Joyce Carlisle of Longview and Frances Riley of Vidor; brother, James Riley of Grand Forks, North Dakota; sister-in-law, Dorothy Riley of Kountze; numerous nieces and nephews; and other extended family. He is preceded in death by his parents; brothers, Thomas Riley, Elmer “Bo” Riley, and Marvin Riley; and sister, Carol Brown. 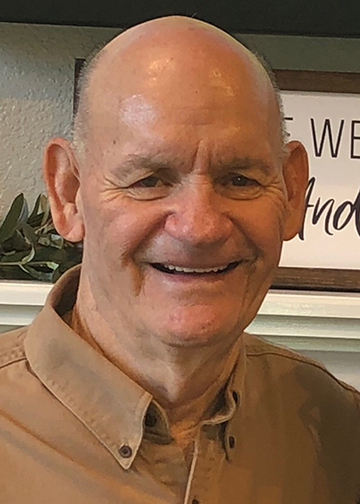 A gathering of Coach Riley’s family and friends will be from 5:00 p.m. until 8:00 p.m., with a Rosary at 5:30 p.m., Tuesday, March 26, 2019, at Broussard’s, 490 Cemetery Road, Silsbee. His Funeral Mass will be 11:00 a.m., Wednesday, March 27, 2019, at Saint Mark Catholic Church, 905 North 9th Street, Silsbee. His committal will be held at Broussard’s Crematorium, Beaumont. In lieu of flowers, memorial contributions may be made to Saint Mark Catholic Church, 905 North 9th Street Silsbee, Texas 77656 or Praise Church, 8325 Walker Road, Beaumont, Texas 77713. Frankye, my thoughts and prayers are with you and your Family. I had the honor knowing Coach Riley in three different capacities. First he was one of my coaches and teachers, when I came back to Silsbee to coach he was a colleague and he and Frankye became my friends. He will be greatly missed by all who knew him. Great memories of Coach and our time together in Silsbee. Prayers for Frankye and all the family. Prayers to Coach Riley's family. Our paths crossed as coach and football player at the Silsbee Tiger Nation. Moved us to perform at our highest level. He was tough, yet always fair. He always made the effort to tell you why he just chewed on you and made it clear that he cared. Thank you Coach Riley. WR Rest In Peace my friend, will always have fond memories of our talks and time together. Kathi and I are praying for Frankye and Leisa?????? My condolences go out to the entire family of Coach Riley. He was a really good man and an inspiration to Tigers for decades. He will always live in my mind prowling the sidelines with Harold Lloyd. He and my brother were classmates. They shared hopes, visions of the class of 1960. Prayers for the Riley family. Heartfelt condolences for Wayne’s family. So sorry to hear of your loss-peace be with you. All of the family out here in California give the family our condolences and love. Prayers are going up for you all. We love you.